Touch gestures are different ways (and shortcuts) to interact with the iPad touch screen that allow you to scroll, switch between apps, close running apps, etc. Some gestures are available only from within applications. Others can be used at any time (depending on your settings). 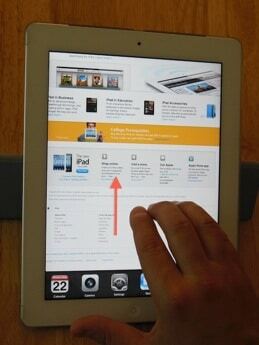 On this post we review some of the gestures available on iOS 5 and iOS 6 starting with ipad 2 models or newer. We also complement it with a short video. This is one of the basic gestures. While having an app open (i.e. Safari web browser) you can tap on the screen and slide your finger up and down to scroll through the content of the page. Get the New Gestures Blueprint Here. This will reveal the apps that are currently open on your iPad. 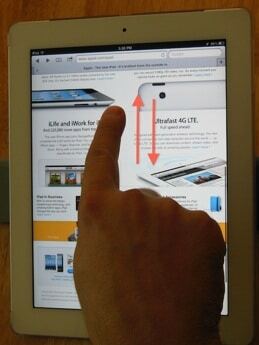 Tap the iPad screen with 4 or 5 fingers and swipe them up. There’s several ways to do this. 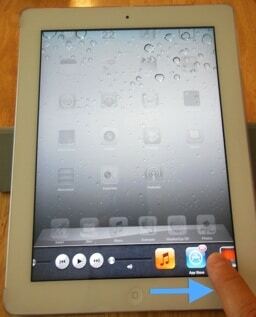 Tap the iPad screen with 4 or 5 fingers and swipe them up. With one finger swipe left or right and tap on the app you want to switch to. Double click the Home button. With one finger swipe left or right and tap on the app you want to switch to. Double click the Home button and with one finger swipe from left to right. The brightness and volume controls appear. With one finger, slide the controls to increase or decrease as needed. Take a look at the video included on this post and let me know how it goes.